Wig Works and Extensions for Hair Salon | Get the hair you’ve always dreamed of! Posted on March 23, 2016	by Janelle P.
Who doesn’t like a juicy secret? Here are some insider tips that you should know about concerning caring for your hair and looking your best. 1) Bangs make you look younger, so skip the Botox (who likes needles anyway!?!) and make an appointment with your hairdresser. Bangs cover up those wrinkles that mar your forehead and look good on just about everybody. 2) Healthy hair is about more than just glossy strands and bouncy locks. It all starts at the scalp. You probably are careful about shampooing and conditioning, but consider a scalp treatment like Moroccan Oil that nourishes your scalp when you massage it in a couple times a week. This stimulates blood flow and applies essential oils to prevent drying and promotes growth. 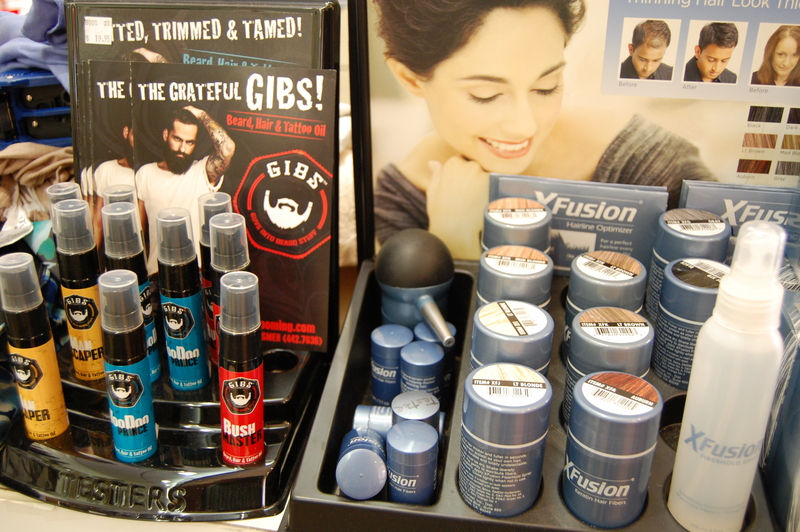 Some of the amazing products that you’ll find at Wig Works. 3) Remember when Marcia Brady would sit in front of her mirror and brush her stick straight hair 100 times? Skip it. Over brushing causes breakage. Here’s tip 3 ½: brushing wet hair also causes breakage so pick up that comb instead. 4) It’s a well-known beauty tip that you shouldn’t leave the house without sun block on your face, but did you know that your hair is also susceptible to damage from those harsh rays? There are several hair products out there that now provide protection. A hat or scarf also works great and can be super fashionable. 5) And speaking of fun in the sun…. some experts recommend showering before you swim to preserve the health of your hair. They say that when your hair is already saturated with water, it is less likely it will absorb as much chemical-laden water. 7) Your best hair days start in the shower. If the water is too hot, you’ll strip the natural oils that protect your hair. Also, if you live in an area with hard water or that has a lot of minerals in the water, that can also dry out your hair or weigh it down. You may want to consider a showerhead water filter. 8) Flyaways are just not cute, but neither is slicked back hair that is so stiff and shiny that it looks like a helmet. Try spraying a little bit of hairspray onto a toothbrush to tame those strays without creating that crunchy look. 9) Walking down the hair care aisle of a big box store can be overwhelming. There are bright colored bottles everywhere, prices that range from 99 cents to 15 dollars, and they have formulas for everything from dandruff to curls to volumizers. This is where your stylist comes in; ask him or her about your specific hair needs what products were designed for what God gave you. 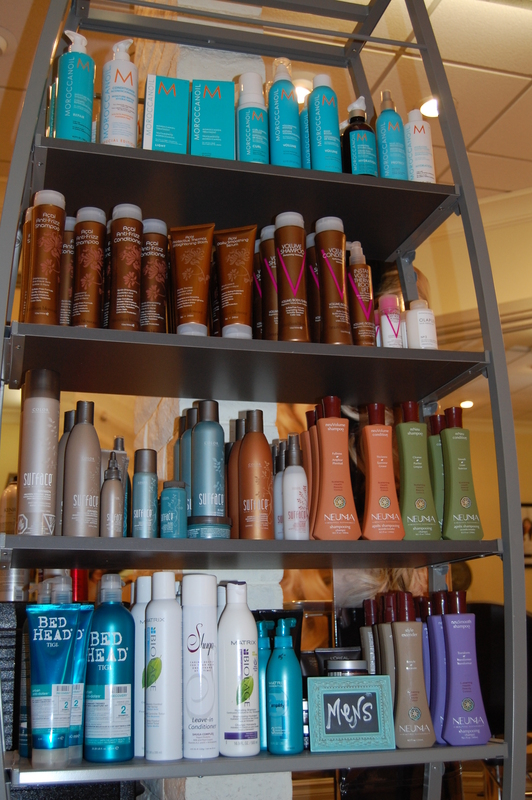 Salon products may cost a fraction more than grocery store brands, but you’ll also find that the results are worth the investment. 10) You don’t have to be born with great hair to have a great hair day. Today’s wigs and hair extensions look and feel real. Not everyone has the locks to make a full ponytail or maybe you just want to try clip in bangs before you make the commitment of chopping your hair. Salons like Wig Works and Extensions for Hair has a great variety of products to make your hair look amazing regardless of what you were born with! Posted on February 24, 2016	by Janelle P.
I love it when a client brings in a picture (or several) to help guide me in the direction of the hairstyle that she is trying to achieve. Not everyone knows how best to describe the cut or color that they want, so this definitely helps me in the process. However, the color that looks great on Jennifer Lopez or Scarlet Johansson may not look right on your skin tone. Here are a few tips to picking out the right hair color that will flatter you. The first step is to determine if you have a warm or cool skin undertone. You can find out by doing this little test: look at the veins in your wrist. If they look blue, you have cool undertones. If the veins look greenish, you’re warm (yellow undertones + blue veins = green appearance.) Still not sure? What metal looks best on you, silver or gold? If silver does, you are cool; if gold does, you are warm. Last try… when you’re in the sun, do you turn pink and burn or do you tan? If you burn quickly, you’re cool which means if you tan, you’re on the warmer side. Now that we have that settled, what does this mean for choosing a hair color? It’s pretty easy: those with a warm complexion should choose a hair color with warm tones and conversely, those with a cool complexion should choose cooler colors. Think about your natural hair color. Usually people with cool tones have eyes that are blue, gray, or green with hair that is blond, brown, or black hair (which can have blue, silver, violet and ash undertones). Warm toned people usually have brown, amber, or hazel eyes with strawberry blond, red, brown, or black hair (with gold, red, orange, or yellow undertones). If someone with a cool tone dies their hair in a warmer tone, it can make the skin look sickly and pale. If a warmer tone goes platinum blond, the skin will look more yellow. Either situation is not good. One of the best ways to choose the right hair color for you is to find a celebrity that shares your skin coloring. If it looks good on them, it will probably look good on you. However, it’s also important to consider the maintenance factor. If you are dark chocolate brunette and you want that creamy caramel look, you’re going to need touch-ups every 4-6 weeks. You might want to consider using a blending technique like an ombre or balayage so your roots won’t be quite so obvious or maybe go a few shades lighter or darker to appear more natural (instead of going extreme). 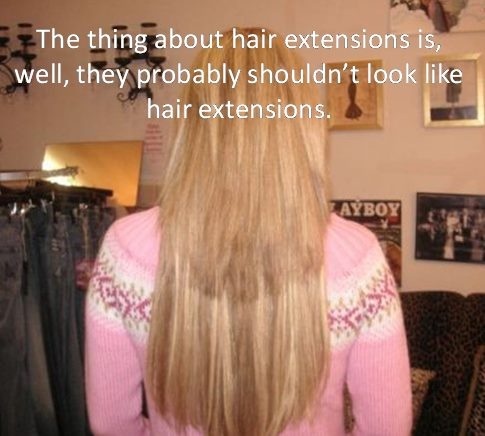 You may even want to add in extensions for a temporary change! Finally, finding an experienced, professional stylist can help you to avoid making a big mistake if you decide to change your hair color. He or she can guide you through your color options and help you to decide on which color of the rainbow would look best on you. Our stylists at Wig Works and Extensions for Hair Salon are some of the best in the in the San Francisco Bay Area and would love to help you make this exciting decision. One of my clients told me yesterday that her husband has had the same hairstyle for the past 30 years. She said that she was jealous of how easy he had it; he knew exactly what he wanted and how to get it. We women on the other hand have it more difficult… we have to follow trends, purchase an arsenal of styling tools and spend at least twice as much time as our male counterparts to look good. I totally understand where she is coming from, but I had to respectfully disagree. Life is change and change can be so much fun! There’s something about a fresh haircut or experimenting with a new color that can reflect your evolving style, attitude and personality. So let’s look at a few new trends and have some fun considering how you might change things up this year! The Big Bang Theory – Bangs may come and bangs may go… and it looks like they’re a hit for 2016. The great thing about bangs is that there are a variety of cuts that can compliment your face shape. From blunt ones that kiss your eyelashes to side swept ones that give a softer vibe, there are a ton of choices out there. Not ready to make the commitment? There are also amazing clip-in bangs that blend in for a natural look. Delicious Truffles and Cinnamon – My love of fashion is only rivaled by my insane sweet tooth, and both came head-to-head on the runway this winter. Chocolate browns, rich cinnamons, and golden vanilla blondes reigned. The hues were rich but were also far from monochromatic. One to two shades lighter or darker than the base provided interest and complimented movement. Easy Up-Dos – On Facebook I am constantly seeing videos for complicated up dos that take at least 50 bobby pins and just as many twists and turns to complete. This is in direct contrast to the hairstyles presented at fashion shows from sophisticated designers such as Michael Kors, Caroline Herrera, and Nicole Miller. Their models wore low ponytails tied at the base of their necks. Almost as simple were the messy French twists at Oscar de la Renta and Tom Ford. Their girls had their hair loosely pinned up with a few strands pulled out for a cool, bohemian vibe. Parting Ways – If you’re not a fan of bangs, you can still make a simple, updated change. 70’s style parts have been big for a long time now and still aren’t going anywhere. Want to be a bit more daring? 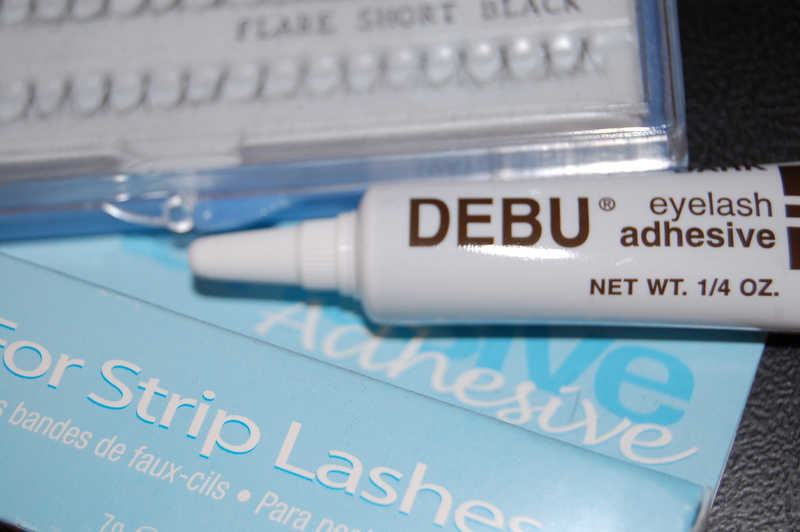 Try a deep part that falls somewhere between the center to the outside edge of your eyebrow. What’s Old is New Again – Big bouffants and natural hippy waves of the 60’s, stick straight hair of the 70’s, crimped hair from the 80’s, grunge hair from the 90’s… all of these throwbacks were new again (fortunately 80’s big hair and the mullet were absent). Here’s a disclaimer though: I once heard someone say that, “If you wore a trend the first time around, you shouldn’t wear it the second time around.” I must say that I agree. Hair trends are fun and it gives us a creative outlet to look and feel our best. If you would like to try one of these inspiring ideas, the stylists at Wig Works and Extensions for Hair would love to help you find what works best for you. From a modern haircut to adding clip in bangs, extensions, or experimenting with wigs, we have all of the options you need to compliment your personality and lifestyle. Call us today! Now I’m usually not this critical, but as someone who works daily with quality hair pieces, wigs, and extensions, I just can’t figure out why some people are opting to wear substandard hair ad-ons. There are so many great options available at a variety of price points that there is no excuse to look like your hair was an afterthought. Here are some reasons why you need to visit a professional who has experience, training, and your best interests at heart (rather than just selling you anything to make a buck.) After all, you want to look like a fashion “do” instead of a fashion “don’t”. Many times the first sign of bad extensions is the quality. Hair that is too thick, stiff, dull, or the wrong color are sure giveaways that you are wearing a hair piece. A reputable salon will only sell extensions from top companies that offer excellent products (such as Hair Dreams, Dream Catchers, Great Lengths, or Halo Couture). Furthermore, if you buy online extensions and try to have someone without the proper equipment or training apply them, then I guarantee you won’t get the results that you are looking for. They will most likely be uneven, loose, or won’t blend in with your natural hair. While you may be trying to save money, it could very well cost you more in the long run if you damage your hair in the process, if the product is applied wrong and you have to remove it, or if you just open the box and realize that what you got isn’t what you thought you paid for. Another reason to visit a salon is that the best looking hair extensions are customized to each client. Regardless of your current hairstyle, you’ll need a stylist to cut and blend in your new extensions with your natural hair. You many even want it dyed or highlighted to add further dimension for a seamless result. Finally, even clip-on hair extensions should be purchased at a salon with experts knowledgeable about various hair pieces. They can advise you on which type is right for you, how to properly care for your investment, and how to apply the extensions for the best results. In you are in the San Francisco Bay Area, the professionals at Wig Works and Extensions for Hair Salon can help you to decide what extensions are right for you. 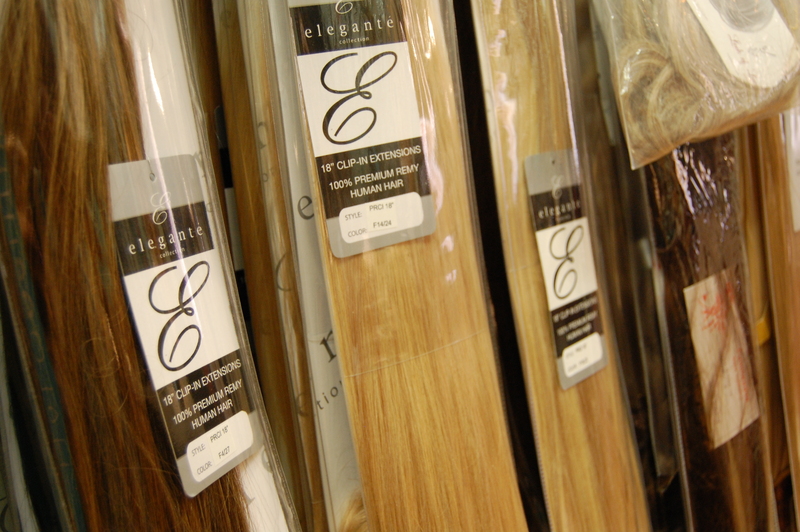 We have trained stylists with vast experience in applying the top brands of hair extensions. We can undoubtedly achieve the look that you are searching for!